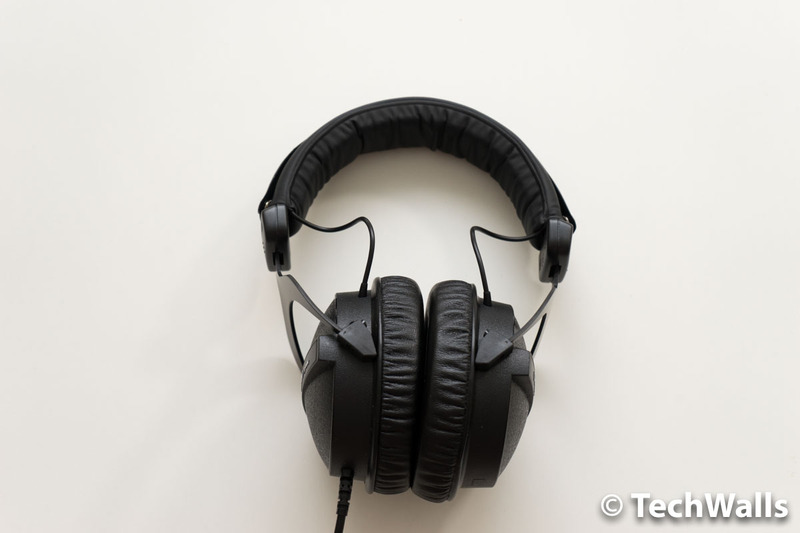 Beyerdynamic DT 770 Pro 32 Ohm Headphones Review - Cheap Audiophile Grade Headphones? 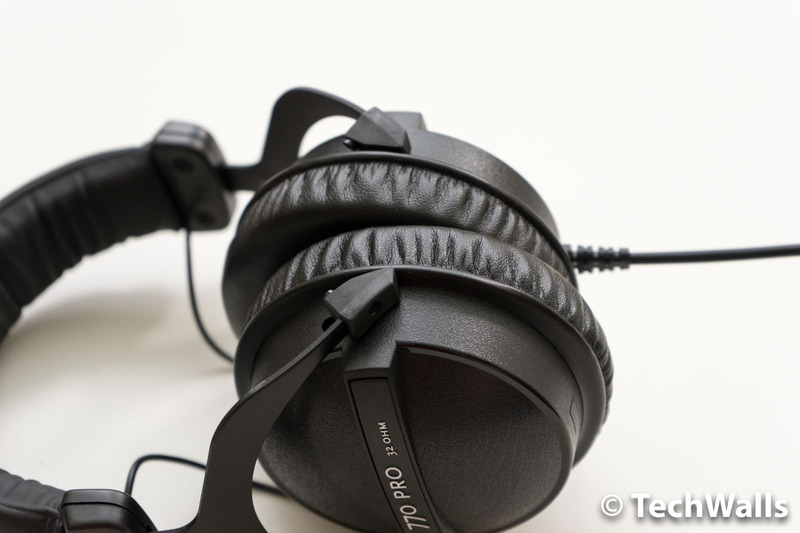 Beyerdynamic DT 770 Pro 32 Ohm Headphones Review – Cheap Audiophile Grade Headphones? Beyerdynamic is among my favorite headphone manufacturers, alongside Sennheiser, Audio-Technica and AKG. Most of my previous Beyerdynamic headphones are quite expensive and out of budget of many average consumers. Recently, I’ve got more chances to test more affordable headphones from the manufacturer. 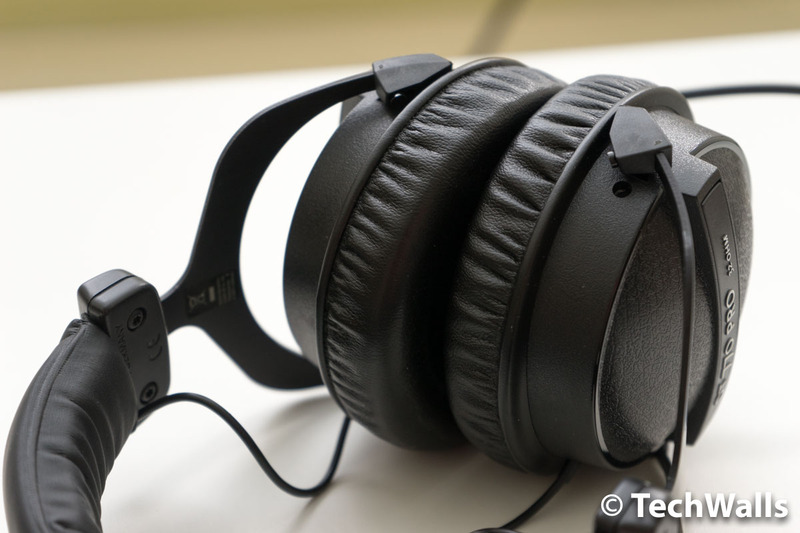 The Beyerdynamic DT 770 Pro 32 Ohm headphones were released in late 2012 but they are still among the highest-rated headphones on Amazon. What makes the headphones so successful? Let’s figure out in the review. The product has an interesting box as it tells the story of these specific headphones. The Beyerdynamic DT 770 Pro is an addition to the DT series, along with some other famous headphones like the DT 880 or DT 990. While the DT 880 Pro has semi-open back and DT 990 Pro has a fully open back, the DT 770 Pro is closed-back headphones. Inside the box, you can find just the headphones and a carrying pouch. The headphones have 3.5mm plug but it also comes with a pre-installed 6.35mm adapter. My review unit is the 32-ohm version which is designed for portable devices. The DT 770 Pro has some other variants with different impedances, the 80-ohm version for studio applications and 250-ohm for mixing and home use. While the other 2 versions use velour earpads, my headphones use leatherette earpads. That’s the reason why my ears are so hot and sweaty every time I wear the headphones. On the positive side, they are extremely comfy around my ears. The cushions on the 2 earcups are thick yet soft enough, so I don’t feel any pressure on my head when wearing the headphones for more than an hour. 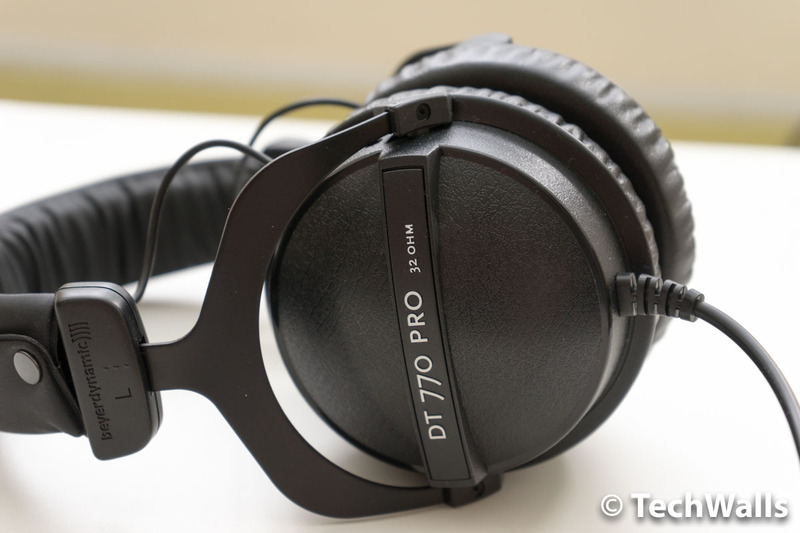 The build quality of the DT 770 Pro is great even though they don’t use premium materials on the exterior. The earcup housing is made of solid composite, the headband is made of steel covered in removable padding and the forks are made of aluminum. 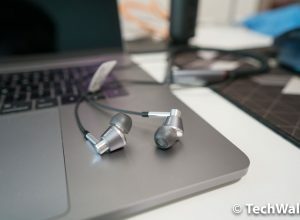 Beyerdynamic said that all parts can be replaced individually but you might not be able to replace the audio cable because it is fixed to the left earcup. Anyway, you can easily remove and change the leatherette earpads. When I first tested the DT 770 Pro, I immediately fell in love with its sound signature. I couldn’t believe closed-back headphones could produce such a spacious sound. 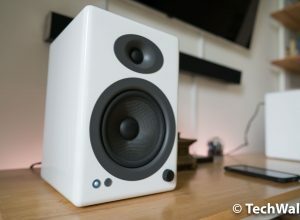 The soundstage is amazing and probably the best among headphones with the same design. The sound is clean and bright, which reminds me of my BeyerDynamic T90 Jubilee. 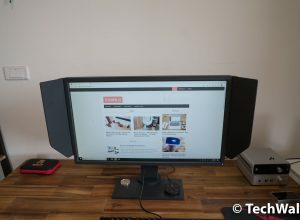 The DT 770 Pro could be really a steal because it’s a lot cheaper. Unfortunately, these are not perfect headphones. The bass is not as warm and deep as the Custom Street and the treble is a little harsh in my opinion. Most younger listeners will find it hard to accept the bright sound. It is perfect for classical music but you will hear treble spikes quite often when listening to EDM or Pop music. When I played some tracks in the Cinema album by Andrea Bocelli, I really enjoyed breathtaking chorus during the songs. Then, when I switched to the album Tchaikovsky: Serenade For Strings In C & Bart by LSO String Ensemble, I was totally overwhelmed with the wide soundstage and I felt like I’m sitting right in front of the symphony orchestras. I’m pretty surprised as such cheap headphones manage to provide a concert-like listening experience. Earlier, I often had to spend at least $300 for the same music pleasure. I can feel a good reproduction of rapid transients which contribute to the accuracy and instrument separation. You will be able to hear details of every single instrument in the orchestra. 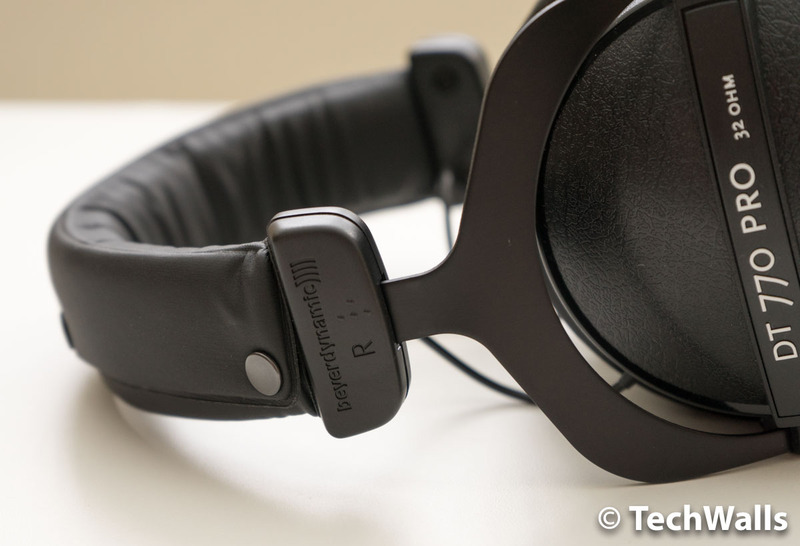 The Beyerdynamic DT 770 Pro are great headphones for audiophiles on a budget. It’s a great choice when you listen to classical or country music, I can’t recommend the headphones enough.